Services make things easier. Addressing each client’s specific needs, Royal Treatment offers services for ongoing care and help around the house. Our practiced home support staff can look after meal preparation and house cleaning, and provide caring companionship. Royal Treatment can also provide transportation and shopping, and give needed assistance and necessary relief to family caregivers. • Nurse’s Aides / P.A.B. Institutional Care: Covering both hospitals and seniors’ residences, Royal Treatment’s Institutional Care provides supplemental postoperative or chronic care as well as last-minute replacement staff. In consultation with the client and their care facility, Royal Treatment determines the most efficient and effective way to care for patients. Professional Nursing Service: Meeting the acute care needs of clients after surgery or trauma, Royal Treatment’s Professional Nursing Service is there to make things better. Also appropriate for clients experiencing very chronic episodes, our nurses are available when you need us most. From simple dressing changes to providing ventilation and infusion therapies, Royal Treatment staff are accomplished in a wide range of procedures. 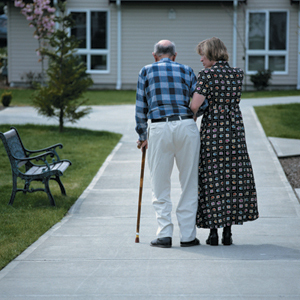 Skilled in liaison with other caregivers, our professional staff also provides services to hospitals and nursing homes. Home Care Services: Dedicated to serving the needs of elderly and chronic-care clients, our Home Care Services make things easier. Addressing each client’s specific needs, Royal Treatment offers services for ongoing care and help around the house. Our practiced home support staff can look after meal preparation and house cleaning, and provide caring companionship. Royal Treatment can also provide transportation and shopping, and give needed assistance and necessary relief to family caregivers. Special Needs Services: Combining the skills and capabilities of both nursing and home-care specialists, Royal Treatment’s Special Needs Services takes a team approach to give the best care. Palliative care and other situations of unique need require not only specialized services but also sensitive practitioners; Royal Treatment is committed to providing the best practices and the best people. For Medical or Personal Assistance, Royal Treatment has the right help.